Are you an independent seeker trying to find your way? Come home to the beauty, inner strength, deep peace and creative potential of your True Self. If you’re here, my guess is that you’re someone who is craving something ‘more’ in your spiritual life (even if you can’t put your finger on it). And, after years of reading self help books, you’ve likely discovered the truth that the easiest way to avoid awakening is… to read books about awakening. If you’re here, you’re feeling drawn to really doing the work to go inside and see what’s true for you around the heady questions of life like, “who am I?”, “Why am I here?” and “What is the purpose of life?”. After years of looking for the answers outside of yourself (e.g. relationships, religion, substances, distraction) you’ve come to the conclusion that the only answer left is to go within. And that, if you don’t, you will go without. Are craving to participate in an authentic community of independent spiritual seekers and be seen, heard and received for who you are. 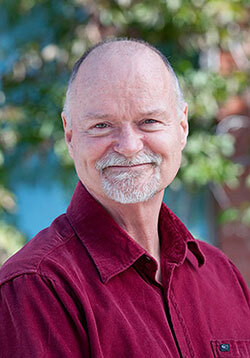 My name is Russell Scott and for the past 35 years I’ve led hundreds of retreats working with thousands of Independent Inquirers, Spiritual Non-Followers and Mystic Misfits to release the weight of their past so that they can create a deeper more fulfilling life and ‘come home’ to themselves. I have found that many spiritual seekers are slowed down by the crutches of external dogma. I am sure you know, it’s a confusing spiritual scene out there. There are lots of groups, religions and scenes promoting their beliefs systems. There’s one thing I have learned in my many years of leading retreats and running a retreat centre: We need to let go of believing and experience the truth for ourselves. I’ve seen many get lost in the books, philosophies and religious ideologies that make sense for only a little while but create a reliance on getting answers from the outside. It’s difficult trying to do this by ourselves… but we don’t have to do it alone. In fact, I’ve found that spirituality can be a way that people isolate themselves and this isolation can actually prevent their spiritual growth as it is very hard to get perspective on ourselves. It’s sometimes hard to persist on our path without support. But there is another approach where we come together to assist each other to self-inquire into the mystery of self and life (which I’ve come to call ‘co-evolution’). In my experience, it can actually be a beautiful compliment to your solo practice and often get us there a bit faster. We can all use a little help from our friends. 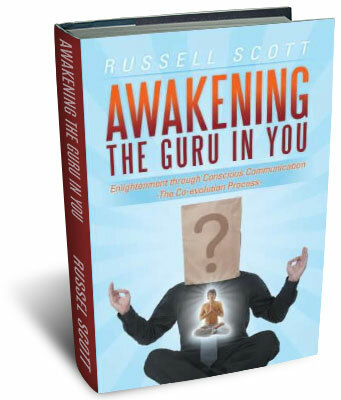 You can read about it in my book "Awakening the Guru in You" and you can find more information by just reading some of my blogs. Have fun exploring. 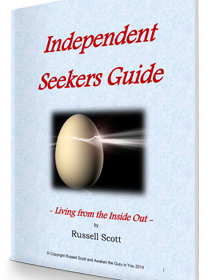 And, while you’re here, be sure to download my ebook: The Independent Seekers’ Guide to Living from the Inside Out. It’s free just for you visiting my website.